Welcome to The Paolatto Report. Given that this is my maiden entry to this blog, I thought it best to begin by responding to the one question that I have been getting from family, friends and acquaintances since I expressed a mild interest in running for public office in the next municipal election. My answer to the above question can be broken down into three parts. First, I am ‘doing this’ because, to put it as gently as I can, I am angry. Not blood-boiling irate, but certainly beyond irked. Last year’s budget debacle between myself in my capacity as Budget Chair for the London Police Services Board, and London City Council was without a doubt the most inane, irresponsible and infuriating exercises I have ever experienced in my 30 years in private and public sector service. Never have I felt more frustrated to be a part of something so counterproductive; all at the expense to the City, the Police Service, the public our team works so hard to protect, and most notably the taxpayer. Now at this point, it is not my intention to rehash the clown-like events that transpired over 2016 and resulted in a significant cost of time and money to London taxpayers. (Although, I do want to continue to acknowledge and express my sincere appreciation to the Ward Councillors, including and most notably Councillors Morgan, Usher and Turner, who stepped up and helped bring this matter to a successful resolution). Rather, what this bizarre budget process did reveal to me was that; (i) the City of London was in desperate need for better leadership, particularly in the Mayor and CAO offices, and (ii) perhaps I could play a role in helping address these two leadership issues. Fortunately, one of these issues has now largely been resolved. However, much work remains, and while seeking public office has not been an ambition of mine for a very long time, the current situation is of sufficient concern to me that I am now giving this step very serious consideration. The second reason for ‘doing this’ is that I believe that I may have something of value to offer Londoners at the Council table should I decide to run. I have successfully served as a CEO and in senior leadership roles for the last two decades, and have developed an extensive background in operations management, business development, business restructuring and team-building. I know how to develop a complete plan, and as importantly, execute it. I have also been active in numerous volunteer and civic endeavours including work on behalf of the police, the community’s economic development organizations, children’s health and rep hockey. I understand what it takes to work for, with and through people, I know how to set and achieve goals, and above all, I know how to get things done. In the 18 years that my family and I have resided in London, I have thoroughly enjoyed my time here and tried to give back to the community when and where I can. I have preferred to make my contributions largely outside of the limelight and need no accolades, attention or applause for the work I do. I choose to contribute in this manner because, quite simply, I was raised to give back more than you receive, and that if you have the ability to help people in need, you have the responsibility. Which leads to me the third reason as to why I am ‘doing this’. I recognize that if I am to actually let my name stand for office, I have to let people get to know me. I consider running for office akin to a massively large, long and intense job interview with the number of interviewers conceivably running into the thousands. And given the short time between when someone can actually apply for a Council job next May and the election in late October, I thought that The Paolatto Report would be a useful tool for shareholders of the Corporation of the City of London to get to know me and learn a little bit about how I think while I continue to work through my own decision of lending my name to a ballot. 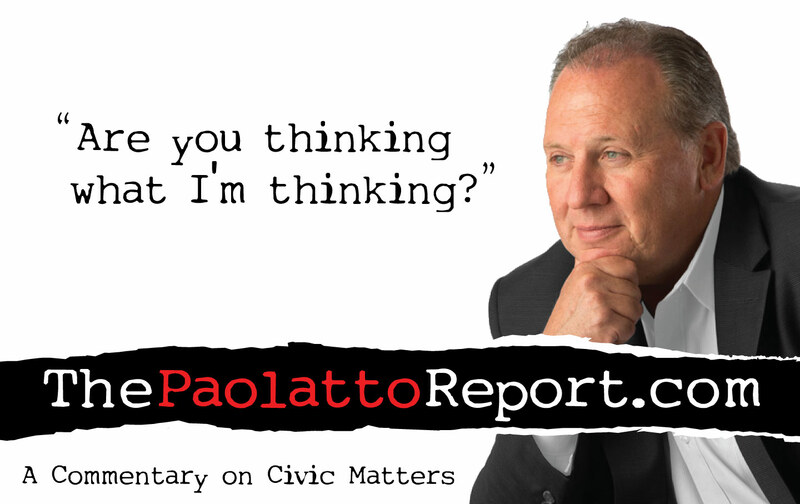 Therefore, I intend to use The Paolatto Report as a forum for me to post my personal perspective on material topics that I think might be of interest and relevance to my community. The posts will predominantly focus on matters surrounding our municipal government so that Londoners get a better understanding of what is causing me concern, and how I might respond if I were ‘at the table’. I may also provide commentary on topics outside of City Hall as they arise. And apart from the odd, fully-referenced comment or quote that I find of interest, all of the comments, conclusions, and yes even a few conjectures, in each post are mine and mine alone. I shall not presume that my viewpoint is right on every matter and will always remain open to different perspectives, opinions and corrections. I do not profess to have the answer to every problem, but I do feel confident in my ability to identify and implement the best available solutions when and where I can. Overall, my hope is that you will find the posts revealing, thought-provoking, edgy at times, and above all insightful. Once again, welcome to The Paolatto Report. Let’s do this.